Remember when Square Enix said it was delaying Final Fantasy 15 so it could avoid putting out a bunch of essential bug fixes in a day-one patch? Well, it half succeeded in that goal. Final Fantasy 15 is still going to have a day-one patch, like almost every modern big-budget game, but it's going to be full of new features and improvements instead of just squashing bugs. Here's the new stuff coming in Final Fantasy 15's "Crown Update". 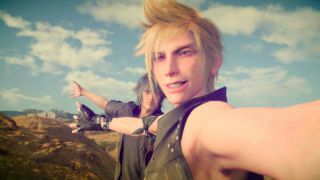 So you'll definitely want to download that patch before you start playing on November 29, if only to share Prompto's selfies with all of the internet.